Showing results by narrator "Paul Toohey"
When Mal Brough and John Howard announced the Northern Territory intervention in mid-2007, they proclaimed a child abuse emergency. 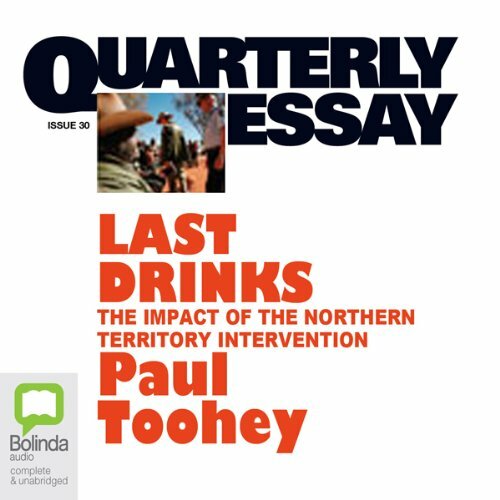 In this riveting piece of reportage and analysis, Paul Toohey unpicks the rhetoric of emergency and tracks progress. One year on, have children been saved? Will Labor continue with the intervention? What are the reasons for the social crisis and how might things be different? Toohey argues that the real issue is not sexual abuse, but rather a more general neglect of children.